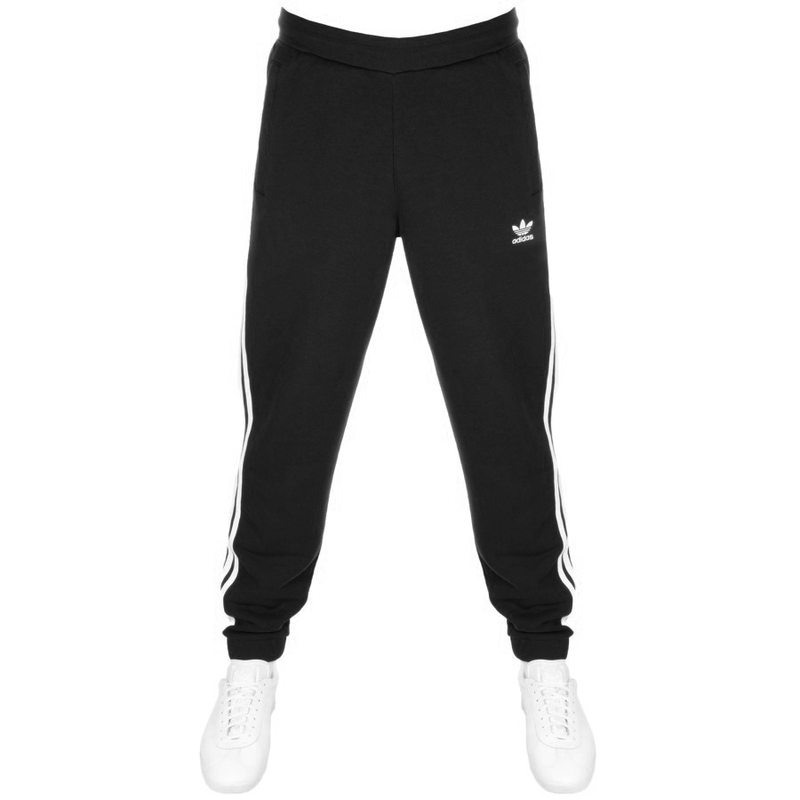 adidas Originals 3 Stripes Joggers In Black, An elasticated waistband with an additional black woven drawstring fastening and ribbed cuffs at the ankles. Two zip entry pockets on the hips and the signature Adidas Three Stripes are down each leg in white. The signature Adidas Trefoil logo is embroidered on the left thigh in white. 23% Polyester And 77% Cotton. Brand New Fashionable Adidas Track Pants, Shorts And Beachwear Live.